911 WAS an Inside Job. Tell everyone so that this information becomes public knowledge. When EVERYONE KNOWS the perpetrators will be unable to hide from the inevitable public investigations. This interview is with the first author of the scientific paper dealing with the unreacted explosives found in the World Trade Centre Dust- Professor Niels Harrit. The forensic evidence, to which he refers, further proves that high tech explosive devices were used to bring down the three WTC skyscrapers on 911. 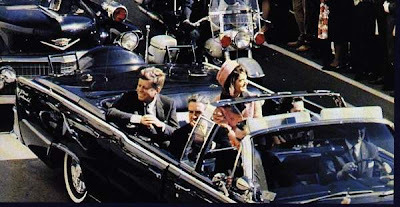 This paper adds to the physical evidence we already have of the superheated steel, the heat corroded condition of various steel beams, the physical characteristics of the collapses themselves, and the iron-rich thermite byproducts that have been identified so far. 1. We know the building security had been compromised using a company associated with the Bush family. 2. We know there were "upgrades" or "repairs" to fireproofing and the elevators in the months before the attacks giving ample opportunity to thoroughly rig the buildings. And yet Obama, like Bush, has done virtually nothing to create more jobs. Instead, they both gave trillions to the biggest banks (who are not loaning it out to the little guy) and for waging wars in Afghanistan and Iraq. The rest of the article details that the costly war in Iraq has been completely unnecessary- that it was sold on a lie. Please check out the full story. The rumors have persisted for over fifty years. They have all the trappings of fiction, yet there are those who persist on believing that the U.S. Navy actually rendered a warship invisible and teleported it to and from the Philadelphia Naval Yards in a top-secret project. THE TRUE STORY OF THE PHILADELPHIA EXPERIMENT chronicles the origins and spread of this tallest of all sailor's tall tales, revealing how research into antisubmarine technology likely provided the catalyst for the accounts and documenting stages in the story's development in the pages of pulp fiction. Although this story appeals to me personally, perhaps more as a work of science-fiction, there's no evidence to suggest it is true. The whole matter of a disappearing warship appears to have developed from a tall tale told in connection with degaussing operations - a procedure used to demagnetise steel to make warships "invisible" to magnetic mines. This case should be considered as a great example where the facts and science are foremost in evaluating the situation: AS THEY SHOULD BE EVERY TIME. It's also a case in point highlighting that those people, who point out that 911 MUST BE an inside job, do so because the evidence dictates it, rather than from any unsubstantiated "belief". The fact remains that most highly credentialed people (Academics, Engineers, scientists etc), who have come to accept that 911 was an inside job have done so because the material evidence has left little choice- NOT because these people are prone to believing in myths. Rather than the research revealing the OFFICIAL story about 911 is true, the research shows clearly that the goverment account is a LIE. AE911Truth New Zealand Tour Expanded! By popular demand, three cities have been added to the New Zealand tour. Christchurch and Auckland have been scheduled and Hamilton is pending TBA. For more information, check our Australasia/Japan Tour page and our Speaking Engagements and Appearances pages. Mr Gage is making great progress here. One country at a time. The truth will out. The key thing to remember about the movement is that the more people we get the more advocates we get. Obviously some people will do more than others. However, the point is for everyone to keep pushing the message so that we can pick up more highly respected architects, scientists, academics and other people who can make a strong case in the public spotlight. The discovery strengthens the case for believing that worm-like structures in the meteorite are 'microfossils' of ancient Martian bugs. This is the same rock they looked at in 1996. This time new technology indicates a much stronger possibility that the fossil features are likely to be from microbes. AGAINST GLOBAL WARMING: We know from the hacked emails that the scientists at the Hadley Climate Research Unit, led by Dr Phil Jones, have been cooking the books on the data. I know that this information is used by the UN and has been taken up widely by Governments and other researchers. AGAINST GLOBAL WARMING: We know that the climate data from the Mauna Loa Observatory is highly questionable. The Carbon Dioxide data is taken from an area where there is an active volcano. CO2 and H2O are expelled into the atmosphere during eruptions. FOR: I know that in the northern and southern polar regions we have seen loss of ice from the glaciers into the sea. AGAINST: We know Greenland was much more warm in the past. There were Viking settlements there. If the world warmed so much at that time why didn't we see a catastrophic increase in sea levels such as Al Gore predicts in his Inconvenient Truth film ? Perhaps the earth would need to become a LOT more warm to cause enough melting to raise the sea levels ? FOR GLOBAL WARMING: This is not so much in support of "carbon reduction" but rather an acknowledgement that we need a reduction in pollution. I am 100% for clean technology so we don't have smog plus other contaminants in the air. NOTE: I'll add to this list as more information comes to my attention. Thus far I am waiting for credible reviews of other sources of climate data. Presently, I smell a rat. I am very concerned about the crushing, and possibly unnecessary "carbon taxation" that is planned. The full extent of how Tony Blair misled the public about Saddam Hussein's weapons of mass destruction before and after the Iraq War was laid bare yesterday. The Chilcot Inquiry heard that just ten days before the invasion of Iraq Mr Blair was told Saddam had no way of using weapons of mass destruction. And weapons experts revealed that the former Prime Minister took Britain to war based on intelligence that his own spies rated just 'four out of ten' for accuracy. On the eve of the conflict, intelligence chiefs told Mr Blair that the Iraqi dictator had no warheads capable of delivering chemical weapons, dramatically undermining the Prime Minister's case for war. Yet Mr Blair gave the go-ahead for the invasion despite strong evidence that Iraq was no threat to Britain. It was known a long time before 10 days prior that Saddam did not pose a threat. From documents like the Downing Street memos, the "dodgy dossier" and the Oct 2002 NIE we can see that the war was purposely sold on unsubstantiated propaganda. War Crimes have been committed and this matter needs to be forwarded to a criminal court. Thousands have died because of these lies. If these lies destroyed your country, and the criminals walked away without punishment, could you stand by and do nothing ? Some level of punishment is in order. The criminals must be held accountable. Whether or not you like Glen Beck is beside the point here. His summary of the Climategate scandal is accurate and easy to comprehend in this video. I have read elsewhere that even if the information here appears to have been manipulated then that does not invalidate all the other data indicating climate change. This is true, but this then begs the question as to how much of the remaining climate science has been based upon the information being produced at this centre ? What does the raw data from separate studies honestly indicate ? I know the UN uses much of this climategate material in their reports, so there is obviously a huge problem with regard to what we have been told in this respect. More investigations into the climate science community, as a political entity, is required. Moreover, we must also consider the role that the sun plays in the warming or cooling of the Earth. Having said all that I am 100% FOR having clean fuel technology: I don't like pollution and seeing the destruction of the present environment. My concern with the natural environment is that it's the end result of millions of years of evolution. To get back to this level of diversity will take a long time. It's a good idea to hang onto what we have for the sake of science. Why the UK is Always such a Willing Toady and Accomplice in US War Crimes. Today Britain continues to export capital on a scale unmatched by any other country apart from the United States. By 2006 British capital assets overseas were worth the equivalent of 410 per cent of Britain's GDP. This is the highest of any major capitalist economy. Much of this investment is in the United States and Europe, but a significant amount continues to be invested in extractive industries in Africa, the Middle East, Asia and Latin America. An even greater amount of money from abroad (mainly US) is invested in British financial and industrial companies, many of them now under external ownership. It is this interlocking of capital between the UK and the much stronger US economy which helps to bind UK and US foreign policy together. Britain's oil and gas giants, its mining companies and its arms manufacturers have a powerful and ongoing relationship with government and an effective lobbying influence in the office of successive Prime Ministers. All of these strands come together with the drive for 'energy security' by the US and UK governments. It is the desire to protect overseas investments and control the strategic materials such as oil, gas and minerals that drive the foreign and defence policy of both countries. Britain no longer has the global military reach to defend its overseas investments. Increasingly it depends on the United States for this. The unwritten agreement is that, in return, the British government supports US policy around the world. The same is true for Britain's biggest arms manufacturer, BAE Systems. It has grown rapidly in recent years to become the second biggest arms manufacturer in the world, mainly through the acquisition of other US companies. It now gets more business from the Pentagon than the MoD. UK support for America's wars in Iraq and Afghanistan certainly helps to oil the wheels of the UK arms business. The title for this post was taken from the WhatReallyHappened.com entry put up by "StingRay". 1) TV documentaries to the contrary, a proper analysis of the collapse of each of the World Trade Center towers on 9/11/01 shows that they were not destroyed by the fires and plane impacts. 2) There are scores of accounts of people hearing and/or seeing explosions before and as the towers fell - including explosions in the lobby or basement of both towers. 3) Steel girders weighing tens of tons were hurled hundreds of feet and lodged into nearby buildings. Debris in the footprint of each tower was barely two stories high. 4) The WTC towers fell nearly as fast as the debris that they created, indicating little or no resistance from the floors below. 5) The Twin Towers each had a massive structural central core. In a gross misrepresentation the 9/11 Commission report referred to this core as "a hollow steel shaft, in which the elevators and stairwells were grouped." 6) Structural failure in a skyscraper would have an entirely different appearance than that of the collapsing World Trade Center towers. A failing building would be prone to topple, buckle or shed debris instead of being progressively shredded, with perfect radial symmetry, at close to free-fall speed. 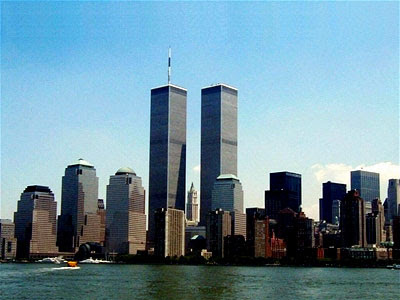 7) The Twin Towers generated vastly more dust and pulverized material than can be accounted for by the total gravitational potential energy of the buildings - the only substantial source of energy available for that destruction. 8) Mayor Giuliani has stated publicly that he was told the first tower was about to collapse. This is extraordinary considering that in the history of high-rise fires there has never been such a collapse. 9) The second tower to be hit - the south tower - received less damage than the first yet it collapsed in approximately half the time. Judging by the black smoke, the fire was dying out at the time. The physical evidence we have from the collapse of the World Trade Centre buildings absolutely proves the attacks were an inside job. All the evidence here, in the list, points in the same direction. A radical new design of electrical generator that solves an engineering quandary and promises to be cheaper, lighter and more reliable than anything currently available has been unveiled by scientists at the University of Edinburgh. The work by Markus Mueller and Alasdair McDonald at the university’s Institute of Energy Systems has solved one of the fundamental engineering problems faced by builders of offshore wind turbines. The blades of conventional turbines are connected to a generator via a gearbox. In harsh conditions at sea, this is prone to breakdown, leading to costly repairs which themselves are at the mercy of the weather. The alternative is to dispense with the gearbox and connect the blades directly to a generator via an axle. The institute’s design — through a novel arrangement of the magnets inside the generator and the copper coils that produce electricity as they pass the magnets — has succeeded in cutting the weight of direct-drive generators by up to half and made assembly much easier. A prototype installed on a wind turbine has proved that the design works. Mars is still wet. The end of the article states that the planet is "bone dry" but this is not true. Evidence exists, seen in photos taken from the Mars rover missions, that indicates recent water flows. The remaining water today is trapped under the surface and occasionally flows to the surface in geysers. In many places the Rovers have been travelling over the bottom of long gone lakes and seas where there is salty mud. Rover tracks and digging reveals this to be true. In some photos you can see ice that has formed in wheel ruts. 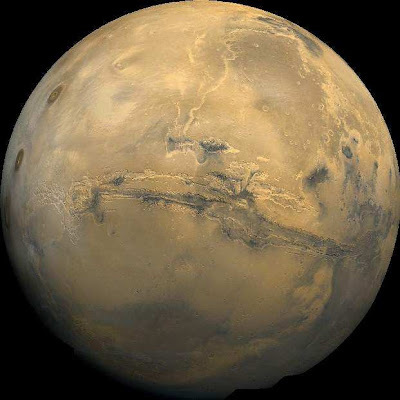 Mars probably developed life like Earth (either separately or from Earth based microbial contamination) but the evolutionary process was hindered by the declining conditions. I would not be surprised to find microbes, worms, plants, and perhaps some kind of very small crustaceans or hardy insects still alive. I am guessing that the evolutionary process would have favoured organisms that had adapted to the present conditions. Gage, who opted not to show any films, spoke during the entire two-and-a-half hour long, information-packed event. Says Jeremy Morrison, who videoed the highlights, which will be posted on YouTube: “It was a great presentation, even for someone like me who knows a lot of this stuff already. I still got a lot out of it, mainly about the science behind the controlled demolition. It’s come a long way and he covered a lot of ground.” Morrison, who kept a watchful eye on the proceedings on the stage, as well as in the audience, said he was aware of only one person who loudly voiced his disapproval, and the heckler, which Morrison caught on camera, looked emotionally shaken by what he had learnt about 9/11. “Apart from him, the audience loved Richard. There was a really good atmosphere,” offers Morrison. Those New Zealanders have always been very independent. Perhaps they will be the first country to completely break the shackles of the censorship surrounding 911. Military commanders are expected to tell the inquiry into the Iraq war, which opens on Tuesday, that the invasion was ill-conceived and that preparations were sabotaged by Tony Blair's government's attempts to mislead the public. We know from the Downing Street Memos and the Dodgy Dossier that the Blair Government lied in step with the Bush Administration in order to launch the invasion of Iraq. In WMD, Media critic, Danny Schechter, explores the roles the Pentagon propaganda machine and the media played in the Iraq War. WMD's hard-hitting dissection of information warfare asks if the media was complicit in the selling of an unpopular conflict and if the media-management techniques of government are now out of control? Schechter's film includes never-before-seen footage from Iraq, insider information about Pentagon information warfare strategy and a report about torture at Baghdad's notorious Abu Ghraib prison that predates the US network stories by eight months. The film investigates the embed program, 'infiltrates' Fox News and takes a global approach to analysing coverage. This is a great documentary showing how biased and uncritical the US corporate run media is today. In the mainstream, it appears that real journalism is dead and buried. Although the doco here deals mostly with how the war was sold to the US consumer, the biggest question, that is touched upon but not fully addressed, is how the media continues to ignore specific evidence that the Iraq War was launched upon deliberate lies. There's still concrete (prima facie) evidence of criminal conduct by the Bush White House which continues to be deliberately ignored. The corporate media covers only superficial issues whilst avoiding anything that crosses the legal line. In this way it is obvious the individuals calling the shots here are acting as agents of the US Government. Never trust anything that you see in the mainstream press. A hacker has leaked thousands of emails and documents from the Climate Research Unit at East Anglia University that appear to show how climate change data was fudged and the peer review process skewed to favor the manmade climate change hypothesis. The link to the data appears to have been posted to a number of climate science websites yesterday by an anonymous hacker or insider going by the name "FOIA," an apparent allusion to the Freedom of Information Act in the United States. Admittedly I have not been following this issue very closely but the information here is a wake up call. The fudging of scientific data can only mean that the information they have is either not very convincing, showing a very minor (zero) increase in temperature, or it is contrary to their position, that there has actually been a temperature decrease in recent years. These emails also highlight the fact that big time "out in the open" scientific reports can be doctored to suit policy without the population being aware of any substantial deception. We further know the corporate media act as propagandists depending on the issue. The key to this caper is obviously arranging the "right people" to run the "independent" scientific investigations- the source of data for the media to broadcast. Having said all that, I'm not against developing clean technology but I am against having massive carbon taxation and a misinformed global population. The media is acting as if to forment conflict with Iran by misrepresenting President Ahmadinejad. The US corporate media IS the enemy of Middle East peace. A rising proportion of fixed-rate home loans made to people with good credit are sinking into foreclosure, adding to concerns about the strength of the economic recovery. Driven by rising unemployment, such loans accounted for nearly 33 percent of new foreclosures last quarter. That compares with just 21 percent a year ago, when high-risk subprime loans made during the housing boom were the main reason for default. At the same time, the proportion of homeowners with a mortgage who were either behind on their payments or in foreclosure hit a record-high for the ninth straight quarter. This is great viewing. Entertaining and very informative. It gets to the heart of the issue about cover-ups and the lack of disclosure we see in mainstream. Given candidate Obama’s promise to not use signing statements to circumvent the legislative intent of Congress and his pledge to support whistleblowers, I was shocked to read the signing statement he issued on the Omnibus Appropriations Bill that was signed into law on March 11. Not only did President Obama’s action run contrary to his promise not to use signing statements to circumvent the intent of Congress, he also appears to have broken his promise to strengthen whistleblower laws by singling out an important whistleblower protection provision that Congress has included in every appropriations bill for the last decade. Behind the scenes Obama is acting exactly as the Bush Administration would. His Campaign promises were worth nothing. For these reasons, and his pandering to special interests (ie. Wall Street) at the expense of the ordinary people of whom 50 million are suffering food shortages, it is no wonder his approval rating has dropped below 50%. Obama is just another puppet of the establishment. The only changes we will see will be "fairy floss" ones. The corpocracy will be protected. To most architects the collapse characteristics exhibited by the World Trade Centre buildings do not make any sense except if we include the controlled demolition hypothesis. It is because of the relatively obvious nature of the 911 evidence, that is it impossible for the cover-up to be maintained. Too many sober, and highly intelligent people, can explain what's wrong here. President Obama and his top health officials are engaging in a major public relations effort to divert attention away from whether its swine flu vaccine is effective and safe by focusing attention on whether there is enough of it to go around. And the media is cooperating fully. Increasing numbers of scientists and doctors are issuing harsh criticisms of the government’s plan to vaccinate virtually the entire U.S. population with a poorly tested vaccine that is not only ineffective against swine flu, but could cripple and even kill many more people than it helps. The CDC’s public relations campaign has been running “scare” ads that portray swine flu as a full-blown “pandemic” responsible for snuffing out countless lives. But scientists and health officials throughout the world have called the governments claims unjustified and deliberately misleading. The nation's economic crisis has catapulted the number of Americans who lack enough food to the highest level since the government has been keeping track, according to a new federal report, which shows that nearly 50 million people -- including almost one child in four -- struggled last year to get enough to eat. At a time when rising poverty, widespread unemployment and other effects of the recession have been well documented, the report released Monday by the U.S. Department of Agriculture provides the government's first detailed portrait of the toll that the faltering economy has taken on Americans' access to food. This is a complete disgrace. While Wall Street and the Federal Government play around with trillions of dollars we have people going hungry. This situation didn't happen overnight either. In recent months it's become worse and harder to brush off. As "9/11 conspiracy theorists" go I'm not much of an alarmist, but I do think that we are in the red zone right now for another potential 9/11 style false-flag event. Here's why. Israel and its allegedly American cheerleaders are desperate to attack Iran ASAP, while Pentagon hawks are yearning to escalate the war in Afghanistan. In other words, the folks who brought us 9/11 and the 9/11 wars want a momentous escalation of those wars. And they want it NOW. But the American people aren't on board. Polls show that the war on Afghanistan is more unpopular than ever. And the level of destruction unleashed by a Zio-American attack on Iran would make our current economic chaos look like the Golden Age. To get people to accept this kind of massive escalation, another major false-flag event demonizing Muslims, and thereby legitimizing escalations against the Taliban and the Islamic Republic of Iran, may be in the works. Only the Truth about 911 will stop the War on Terror. The key aspect of the 911 attacks is that the physical proof of the inside job is unimpeachable. It's obvious the attacks were a staged event. We have all the evidence we need to wake people up. The primary task is to get the message out. Blog, email people, or hand out flyers. Let the truth be known. The Democratic chairman of the House Appropriations Committee is demanding greater accountability from the the Obama administration after gross inaccuracies were found on a government Web site that tracks jobs purportedly saved or created by the $787 billion stimulus plan. They are cooking the books. Things are worse in the US than reported. I'd be very wary of any official economic indicators appearing in the press. Bush Administration memos released by the White House on Thursday provide new insight into claims that American agents used insects to torture the young children of alleged 9/11 mastermind Khalid Sheikh Mohammed. In the memos, released Thursday, the Bush Administration White House Office of Legal Counsel offered its endorsement of CIA torture methods that involved placing an insect in a cramped, confined box with detainees. Jay S. Bybee, then-director of the OLC, wrote that insects could be used to capitalize on detainees’ fears. The memo was dated Aug. 1, 2002. Khalid Sheikh Mohammed’s children were captured and held in Pakistan the following month, according to a report by Human Rights Watch. With KSM set to face trial, and his children in custody, it is likely he will say anything to protect them. Furthermore, describing his own experience with being tortured, KSM has admitted he would make up stories to stop the punishment. The confessions we have from so-called 911 masterminds are rubbish. We know from the physical evidence that 911 was an inside job. This torture is a distraction, and part of the deception. The truth about 911 will end these crimes. Whether it be 6 months or 10 years, that's fast. Dr. Roby Mitchell, M.D. (http://www.drfitt.com/) issues a retraction to nurses he originally advised to get the H1N1 flu vaccination. After reading the insert of the vaccine, he retracted his advice. This video exposes what is actually IN the vaccine our government is so eager to inject into our population. $2.5 Trillion - That’s the size of the global oil scam. It’s a number so large that, to put it in perspective, we will now begin measuring the damage done to the global economy in "Madoff Units" ($50Bn rip-offs). That’s right - $2.5Tn is 50 TIMES the amount of money that Bernie Madoff scammed from investors in his lifetime, yet it is also LESS than the MONTHLY EXCESS price the global population is being manipulated into paying for a barrel of oil. Goldman Sachs (GS), Morgan Stanley (MS), BP (BP), Total (TOT), Shell (RDS.A), Deutsche Bank (DB) and Societe Generale (SCGLY.PK) founded the Intercontinental Exchange (ICE) in 2000. ICE is an online commodities and futures marketplace. It is outside the US and operates free from the constraints of US laws. The exchange was set up to facilitate "dark pool" trading in the commodities markets. Billions of dollars are being placed on oil futures contracts at the ICE and the beauty of this scam is that they NEVER take delivery, per se. They just ratchet up the price with leveraged speculation using your TARP money. This year alone they ratcheted up the global cost of oil from $40 to $80 per barrel. A Congressional investigation into energy trading in 2003 discovered that ICE was being used to facilitate "round-trip" trades. " Round-trip” trades occur when one firm sells energy to another and then the second firm simultaneously sells the same amount of energy back to the first company at exactly the same price. No commodity ever changes hands. But when done on an exchange, these transactions send a price signal to the market and they artificially boost revenue for the company. This is nothing more than a massive fraud, pure and simple. A Swedish Member of Parliament has pledged support for a new investigation into the events of 9/11, adding that prominent political figures support the view that elements of the U.S. government were involved in staging the attacks. An article headlined “The U.S. was part of the attack” in the Swedish newspaper Aftonbladet, highlights comments made by MP Egon Frid of the country’s “Left Party”. “The U.S. administration knew of the terrorist attack before and was a part of it,” Frid said in an interview with Swedish TV network TV4 on it’s “Kalla Facts” (Hard Facts) programme. “My curiosity has once again led me in new ways and to top it all, I have new theories about what really happened 9/11″ Frid writes on his blog. The 911 truth debate is not an "impossible debate", only one that is fraught with political danger in the present mainstream media climate. However, inroads against the press censorship and their distortions of the evidence continue to be made. More and more people are coming to know what really happened. It's only a matter of time until we see substantial changes in people's thinking here. The full article has a short list of crimes that previous Administrations have covered-up through inaction as they came into office: with Ford's pardon of Nixon being the notable stand out in terms of mainstream recognition. There is no denying the physical evidence. The use of Depleted Uranium weapons is both foolish and criminal. These weapons must be banned immediately since the long term damage they are causing is catastrophic. Iraq's prime minister says his Cabinet has approved a deal with a consortium led by U.S.-based Exxon Mobil to develop a prized oil field in the country's south. The other reason for launching the war in Iraq was to dismember a potential threat to Israel. There was no "mistaken intelligence" only propaganda that provided cover for the War Crime (invasion). While one can speculate as to the function of all these installations, and the veracity of some the reports, it seems reasonable to conclude that some sort of program is underway here. It looks to me like the camps might be part of a "contingency plan" in the event of some sort of natural or man-made disaster. I would include economic disasters, nuclear/biological false flag attacks and "accidents" (nuclear/bio) on the list of things to look out for. Gage will be in Sydney on November 14-5, Melbourne Nov. 17, Brisbane Nov 19 and Wellington (New Zealand) on Nov 21. For details visit The Hard Evidence. If you live in Australia or New Zealand, please email ALL the media you can and tell them they have free admission to these events. Genetically modified foods  are not safe . The only reason they’re in our food supply is because government bureaucrats with ties to industry suppressed or manipulated scientific research and deprived consumers of the information they need to make informed choices about whether or not to eat genetically modified foods. Welcome to the horror festival that is the US corporate/government system. Very entertaining and very correct. The actions described here clearly show that corporate FRAUD plus Criminal Conspiracy have been undertaken by the bankers and their agents in the US government. Political activist Noam Chomsky says that although President Obama views the Iraq invasion merely as “a mistake” or “strategic blunder,” it is, in fact, a “major crime” designed to enable America to control the Middle East oil reserves. “It’s (“strategic blunder”) probably what the German general staff was telling Hitler after Stalingrad,” Chomsky quipped, referring to the big Nazi defeat by the Soviet army in 1943. “There is basically no significant change in the fundamental traditional conception that if we can control Middle East energy resources, then we can control the world,” he said. Chomsky makes some good observations here, especially that the oil reserves of Iraq should be seen as a "great strategic prize". A pity he cannot get his mind around the fact that 911 was an inside job. Recently he has gone on record to indicate that he thinks the September 11 attacks may have been allowed to happen. Swine flu is mild. There are risks associated with the vaccine- especially for young children and pregnant women. The biggest risk comes from the fact that most of the vaccines use heavy metal preservatives. The popular preservative Thimerosal uses mercury which is neurotoxic and has been linked to autism. Neurotoxic poisoning of a developing brain and nervous system can be devastating. After the war started, the falsehood of Bush’s claims was often treated as a one-day story, buried in the back of the front section or on the editorial page. Afterward, most papers quickly returned to printing the president’s proclamations as gospel. By launching an unnecessary war based upon deliberate lies, members of the Bush Administration committed War Crimes. The mainstream press are party to this deception and are now acting as accessories after the fact since they continue to keep the lid on the truth. A 575-page blistering report by Justice Richard Goldstone detailing war crimes in Gaza last December is refusing to die despite an aggressive Israeli smear campaign to kill it. The report, which was favorably voted by the 47-member Human Rights Council in Geneva last month, received overwhelming support Thursday in the 192-member General Assembly. The vote was 114 in favor and 18 against, with 44 abstentions. Nearly two dozen CIA agents have been convicted for their alleged involvement in the kidnapping and rendition of Muslim cleric Abu Omar. He was allegedly kidnapped on a Milan street in 2003 and sent to an Egyptian "black site" with the approval of the CIA and the Italian intelligence service. Other commentators, like Max Keiser, have identified such actions as constituting FRAUD. A criminal investigation is obviously needed. The ties between the US Government and Goldman also need to be investigated. We are all witnesses, and victims, to a corrupted financial system. U.N. inspectors found "nothing to be worried about" in a first look at a previously secret uranium enrichment site in Iran last month, the International Atomic Energy chief said in remarks published Thursday. "I was absolutely stunned -- it changed my whole world view in an instant -- to be told that London knew [the intelligence] coming from torture, that it was not illegal because our legal advisers had decided that under the United Nations convention against torture, it is not illegal to obtain or use intelligence gained from torture as long as we didn't do the torture ourselves," Murray said. The most disgraceful thing about this whole system of torture is we know 911 was an inside job and that there would have been very little, if not zero, intelligence to be gained from ANY sort of interrogation. Most intelligence chiefs, and various political heads, would have been aware of the 911 false flag and allowed this heinous system to operate in order to maintain the deception. At the end of the day, in the view of these leaders, people's lives are nothing compared to the "bigger strategic picture". This is why we need to expose the truth about 911. To stop this sort of corruption. ‘Holy Grail’ of Regenerative Medicine Found? A new study of zebrafish has put scientists in the U.S. a step closer to unravelling the mechanism behind body part regeneration, a power possessed by some animals but not humans. The search for the holy grail of regenerative medicine—the ability to "grow back" a perfect body part when one is lost to injury or disease—has been under way for years, yet the steps involved in this seemingly magic process are still poorly understood. Some animals like earthworms, crayfish and tadpoles perform this miraculous feat effortlessly, reports The Telegraph. It is a sobering fact that in 2009, there will be as many people filing for bankruptcy as those filing for a divorce. We are on track to seeing an average of nearly 5,900 bankruptcy filings a day for 2009. While some people use the stock market as their barometer of economic recovery, there are a few other “misery” indicators that show things are still bad for millions of Americans and counter the recovery talks. If you want to track a broader recovery, I would recommend people examine the five indicators of the misery index. Food stamps, bankruptcies, long-term unemployed, foreclosures, and credit card defaults are probably your best gauges to the real economic recovery. The problem we currently face is even after the global economy was brought to its knees by the current Wall Street banking structure, things still haven’t changed at the core of their mission. The same banks are back taking inordinate amounts of risk with the now explicit backing of the U.S. Taxpayer. It is no surprise then that our U.S. dollar has been pummeled by the policies of the Federal Reserve and U.S. Treasury. The fundamentals of the US economy have rested on the US consumer. Seeing as the population is plunging into poverty, I would brace for further shocks to the stock market as reality rears its ugly head. The talk about a "recovery" is a farce.